The Renegades finished the week with a 2-6 record. They have fallen to 4-6 on the year which puts them in third place in the division. Starting pitcher Jason McEachern was named the Pitcher of the Week for the New York-Penn League after he threw a 6 2/3 inning no-hitter on Friday night against Brooklyn. Transactions: David Laufer added to roster (6/24/11). 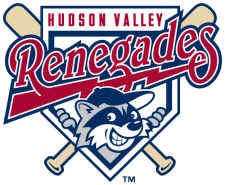 The Week Ahead: 6/28/11: vs Staten Island Yankees (8-2). 6/29/11: at Brooklyn Cyclones (7-4). 6/30/11-7/1/11: vs Brooklyn Cyclones (7-4). 7/2/11-7/3/11: vs Aberdeen Iron Birds (2-9). 7/4/11: at Aberdeen Iron Birds (2-9).